Planning to get married in 2017? But overwhelmed by opinions from all and sundry to the point where your event has become something other than your ideal? A Bahamas wedding for two might be just what you need. With this, your possibilities are very attractive. Choices are solely yours. Uniquely and exclusively you means choosing the island, time of day and venue that suit your personality, vision and style. Perhaps the island is beautiful Eleuthera. At Bahamas wedding resort, The Cove Eleuthera, a custom experience can be tailored to your exact needs. Marry at The Point then dine in a romantic setting amidst candlelight as you enjoy superb cuisine. Perhaps you’ve dreamed of marrying with the jewel toned waters of the Bahamas as a backdrop at sunset. 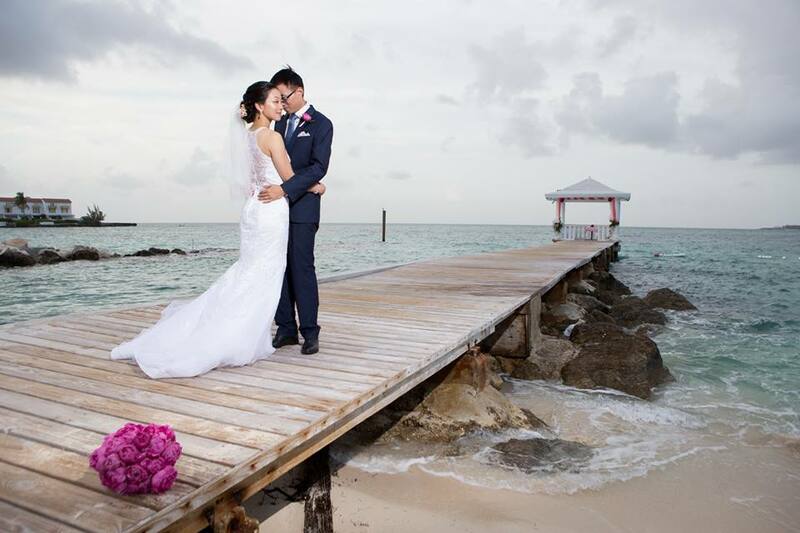 Our 700 islands and cays provide many Bahamas wedding venues from which to choose. The magnificent beaches of Exuma allows you an array locations. Here, you can choose your own no name beach to exchange vows. Or, the gorgeous cove beach of The Abaco Club at Winding Bay. Choices abound. If it’s your second time around and you’ve had a large wedding complete with pomp and pageantry and want there to be just you two, then elope in Bahamas. Wear a stunning dress, perhaps a short one with beautiful sandals and your better half in linen slacks and shirt. So, it’s a surprise to family and friends. The big announcement comes when you return home. A celebration party is planned to announce your big move. The joy is bound to be shared by all. After you’ve said I Do, it’s time to kick back and enjoy all that your selected island of choice has to offer. Indulgences such as Spa Days, Golf, Swimming with the Pigs, exploring the length and breath of the island or a visit to historic and beautiful Harbour Island await you. Chic Bahamas Weddings and Events offers unparalled service, attention to detail and custom designed wedding celebrations. We know that what makes weddings memorable are the small details. Contact us today to begin planning your intimate wedding in the Bahamas.